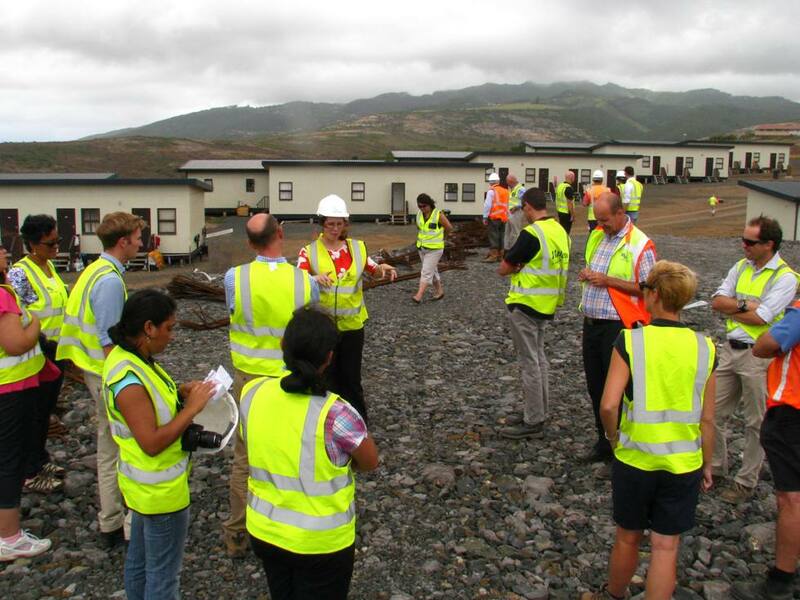 Elected Members visited the St Helena Airport site on Friday, 13 February 2015, following their quarterly Airport Project progress presentation by the SHG Access Office. Elected Members were joined by Senior SHG Officials on the site visit, hosted by Basil Read, Halcrow and the Access Office. Together they visited Prosperous Bay Plain, Bradleys, the Airport Access Road, and Rupert’s Valley. The group of 34 visitors had the opportunity to look around the Air Traffic Control Tower within the Combined Building. They then viewed the areas of the Terminal Building, including the new restaurant area on the first floor, before driving onto the Runway where they saw the paving machine in use. They were then taken along the Airport Access Road, stopping first of all at Bradleys to view the Camp and DVOR Platform (Doppler Very High Frequency Omnidirectional Radio Range Measuring Equipment Platform). The next stop was Rupert’s where they viewed works in Upper Rupert’s and witnessed the offloading of the NP Glory 4 at Rupert’s Wharf. 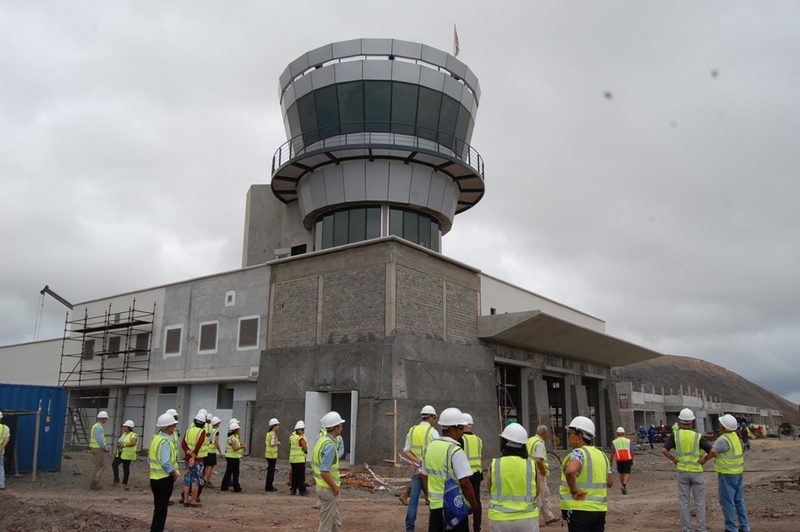 There was much interest in the visit to the Air Traffic Control Tower as Thales (Basil Read’s Subcontractor) is currently installing equipment there. Elected Members were pleased to see the significant progress made since their last visit to the site, in mid-2014, and were assured that everything is on track for calibration flight trials in July this year. Site visits are periodically organised for Elected Members and Senior SHG Officials, enabling them to observe Airport progress.